Whether you’re a small business or a large business, we can accommodate your commercial move. From restaurants to corporate offices, you can count on Cor Movers. Commercial moving includes any moving that needs to be done for a business. 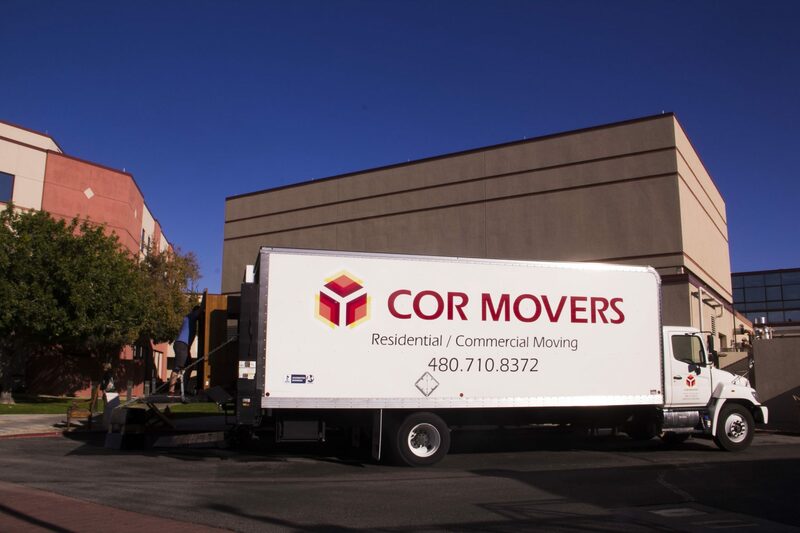 Cor Movers helps all kinds of businesses move their furniture, appliances, equipment, and more. If your company is in need of reliable commercial movers, give us a call at 480-426-1933 or click the button below. With over 20 years of experience in helping businesses move we’ve become experts at assembling, disassembling, repairing and organizing cubicles from the biggest brands out there: Herman Miller, HON, Hayworth, Teknon, Steelcase and more. We don’t only move commercial businesses, but we can help with other services that can make your move smoother.